Celebrating someone’s life is part of the healing process, though the ceremony can be emotionally draining. Attendees are going to need to refuel after the service, so it’s best to be prepared with catering. Here are some ideas to keep it simple without neglecting an important part of the day that brings family and friends together over food. This straightforward presentation style can ease your mind and set a relaxed atmosphere as people come and go to the buffet table. There’s no hassling and organizing that comes along with serving everyone at once. The cuisine is also flexible with this option. Sandwiches, salads, snacks, and even soups can be prepared for a variety of diets and preferences. It’s also a good idea to supplement with some finger food to fill in the gaps and give an option to those with a lesser appetite. Consider how the beverages will be handed out as well, and how much water, juices, soda, or alcohol you’ll need. You might decide the best way to honor someone’s memory is to recreate something that was special to them with the food you serve. Whether it’s paying homage to a hobby or passion using a theme such as golf, animals, or music, you can design a tribute with artistic decoration or use a color scheme. For example, the cake can be designed with a picture relating to the theme or even sculpted into a shape or image. If the deceased was an enthusiast of sailing, you could adopt a seafood theme. While this may require more effort, people will appreciate the thoughtful planning. If you find yourself overwhelmed and have a thousand other details to attend to, there’s no shame in turning to professional catering help. Professional catering has the benefit of taking off much of the pressure before and during the service, and you still have the authority over what is served and how it’s presented. You also don’t have to worry about the presentation and clearing plates, which can provide much needed relief. When you’re looking for catering companies in Minneapolis, or surrounding areas, finding something reliable in short notice is a challenge. 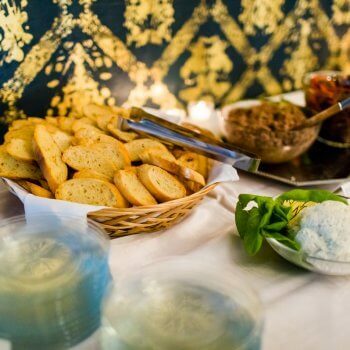 Deco Catering delivers compassionate and thorough catering in Minneapolis, and surrounding areas, with an attentive staff that is proactive with all your hospitality needs. The Deco Catering team is experienced and helpful from the planning process all the way to the cleaning up. 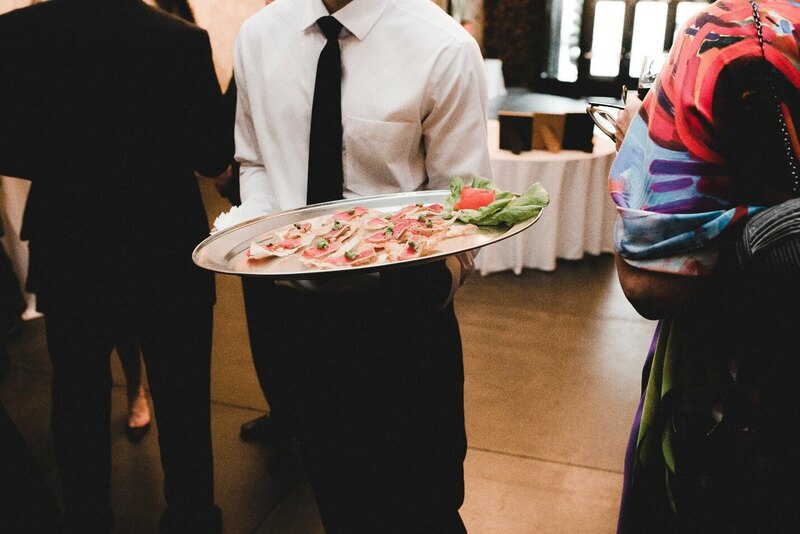 For the best of Twin Cities catering, get your quote and take one less item off your plate.